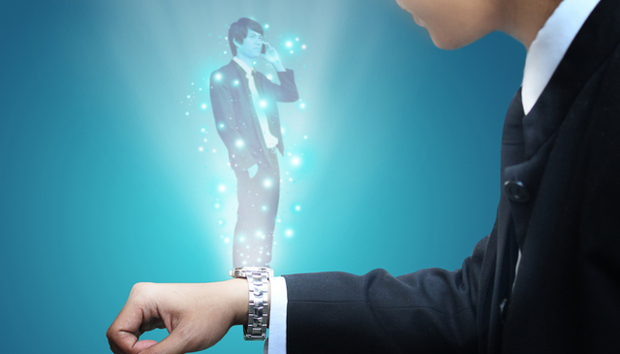 Future Workplace: Hologram Meetings & Spanish Innovation? In a new study by Coleman Parkes commissioned by Ricoh Europe employees were asked to envision what their ‘Tech Evolved Workplace’ would look like in the next 10, 20 and even 30 years. And according to the more than 2,000 respondents across Europe and the Middle East, it will be one that is more interactive, collaborative and streamlined than ever before. For some, this will mean a culture change. For all, this will allow them to truly flourish. It is clear the future will continue to bring innovations that not only drive output and a competitive edge, but inspire employees to think ‘what’s next?’ As a result, employers – who must keep up with the pace of technology change as well as employee demand for new systems and devices – have become increasingly tech savvy and excited about how innovation can enhance productivity and work spaces. For example, wearable technology such as smart-watches, augmented reality glasses and gesture-based computing have begun to appeal to various enterprises searching for new ways to increase productivity and motivate employees. Flexible working legislation in the United Kingdom recently acknowledged the fact that in today’s professional world, traditional or legacy standards must evolve to meet new ways of working. And on a broader level, the European Commission’s Europe 2020 strategy, which was created to promote change across member states, specifically points to investments in innovation as a top priority for smart growth. From this research, it is clear that innovation is on employees’ minds as 8 in 10 predicted that by 2036 their workplace will be transformed by technology and processes that do not even exist today. Out of those surveyed, employees within Spain specifically believe their respective organisations have a strong appetite for creating new ways of working and technologies, more so than employees across any other country or region surveyed. As employee appetite for new technology grows, organisations must be ready to adapt or risk losing key personnel to more forward-thinking competitors. In the next 20 years, the ability to send virtual assistants or holograms (59%) to attend meetings on their behalf was a key future-technology predicted by employees. Individually, the most confidence in this virtual technology was found in employees located in the Middle East (83%), Russia (72%) and Italy (69%). Strong predications towards a virtual future signify employees’ need to break down silos and more easily collaborate with peers and clients alike. This also heightens the need for organisations to review and adapt their traditional ways of working today, paving a more agile path to benefit from future digital innovations. Why are the next 20 years so crucial? The next two decades are a critical time as there will be significant changes to the workforce itself, along with the enabling systems and solutions. The Millennial generation – those born between 1980 and 2000 – will continue to become the prevalent workforce while Baby Boomers slowly retire. The mass influx of a younger tech-centric, always-on generation puts pressure on organisations to have streamlined processes and innovative technologies in-place. In research released earlier this year from the Economist Intelligence Unit, sponsored by Ricoh, it was found that many organisations across Europe seek to change faster, but are still being clouded by the triple challenge of; a rapidly evolving workforce, technology-led disruption and the underlying core business processes that ensure change is sustainable. It’s possible that we will look back on today and see such workplace advantages achieved. And who knows, when we come to the halfway point of the century it may well be our virtual representations rolling out the latest systems and processes while we work to further develop productivity, customer services and business profitability in ways we can’t yet imagine.